Panna Cotta is an Italian dessert that looks and tastes fancy but is truly not that difficult to make! First time I tasted it was at a buffet dinner in Shangri-La Barr Al Jissah Oman. Wow! It was silky smooth and just firm.. with gentle wobble. The sauce that came with it was raspberry sauce. Raspberry sauce gave the panna cotta a slight tangy taste and I was instantly felt in love with this dessert. At that moment I never though that I could recreate this dessert.. looks to me like a difficult dessert to make. So.. I only enjoy them whenever we visited Shangri-La. Then… I saw how people make panna cotta in a TV show called My Kitchen Rules (MKR)… MKR is one of the Australian cooking TV shows that my family and I enjoy watching every summer. Why summer? Well.. the show runs like any other TV series but we always make it a point to watch this together and since the last 3 years Aina and Nurin were in UK.. so we have to wait for them to be home and then only we watch the whole season of My Kitchen Rules. Since we are a family who loves cooking, this series give us inspiration to better ourselves. We enjoy looking at all the dishes that they created and also the drama that came with it hehehe. Okay… back to panna cotta.. so in this TV show they always make panna cotta for dessert even though sometimes they failed. They always say that if you put a lot of gelatin, it will be hard and if not enough gelatin, it will not set. Hmm.. I always ask the question… why don’t you follow the recipe to the letter? Easier said than done, right? So.. Aina and I decided to challenge ourselves and attempt to make them AND…. it was a success. Well.. credit goes to Aina, she is the one who made them, I just assist. I am so happy with the recipe. Give it a try if you have a sweet tooth like me. Totally worth it. Place 1 cup milk in a medium sauce pan and sprinkle the top with 1 packet gelatin. Let stand 3-5 min or until gelatin is softened. Place pan over medium/low heat and stir until gelatin dissolves and mixture is steaming, about 4-5 min (do not boil). Assalamualaikum all. We are in the middle of 3 months summer break at the moment. Kids were on leave since mid June and the school will only resume end of August. I was actually looking forward to days not having specific things to do.. days that I can just chill around the house… well after I month of doing nothing, I kinda miss my normal routine sending kids to school and attending some classes myself. How I wish the weather is not this hot.. at least we can go to the beach and relax. With the temperature well above 46C.. we would be ‘ikan kering’ kalau dok bercanda di pantai hehehe. 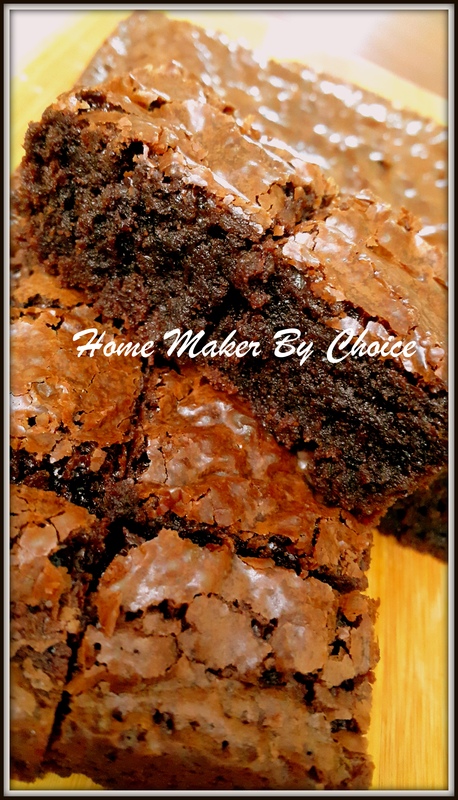 If it is up to me, I would be trying all the recipes that I have accumulated for the past 9 months but I am worried that with no activity what so ever, my kids will be unrecognizable by the end of summer due to all the cakes and other sweet stuff. So.. I am trying to just bake once a week. 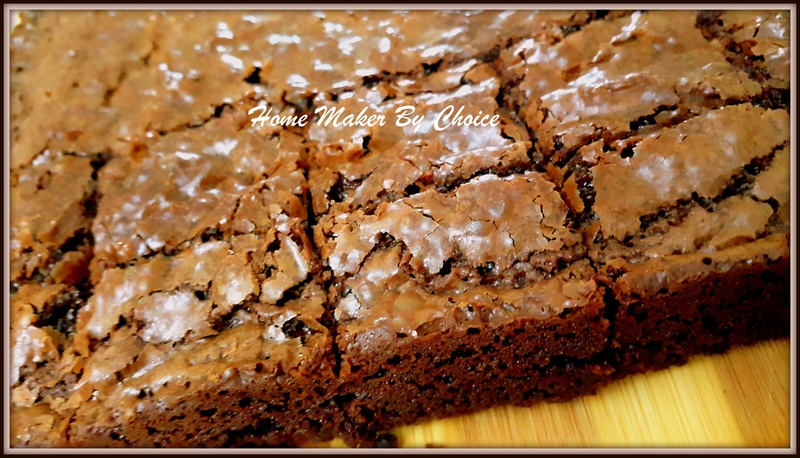 And… the winner for this week is this Butterscotch Chocolate Chip brownies. 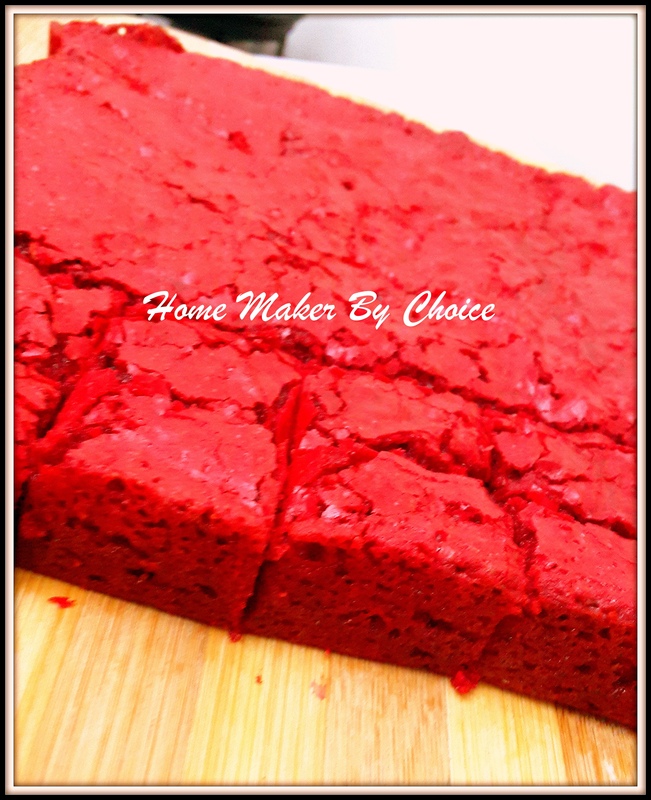 Recipe was taken from I am Baker blog and thank you for such a simple yet delicious recipe. This recipe is not huge, so if you have big family like me.. it will disappear the moment you put them on the table hehehe. Maybe.. 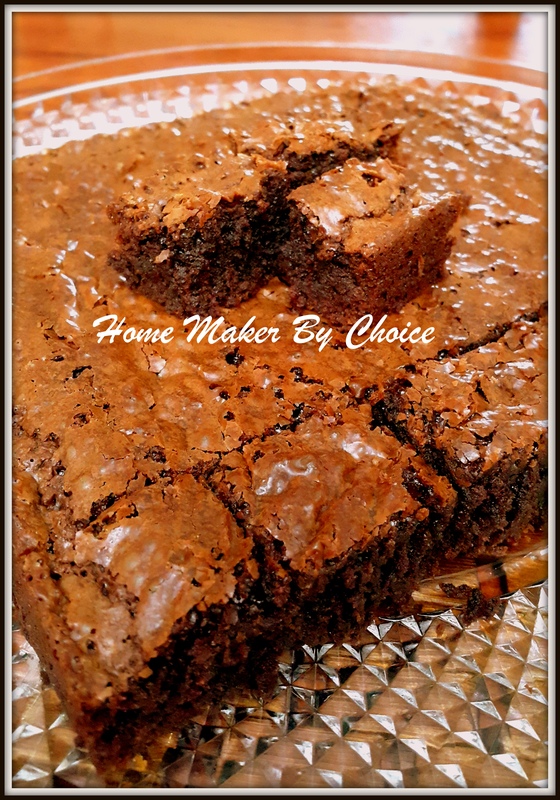 I can bake again this week since this recipe only yield 9 normal size brownies hehehehe. Okay.. let me show you want are needed..
Sift together all dry ingredients except chocolate chip in a medium bowl. Add two eggs and vanilla into the bowl and stir gently. Pour the melted butter into brownie mixture and mix until just incorporated. Add in the chocolate chips. 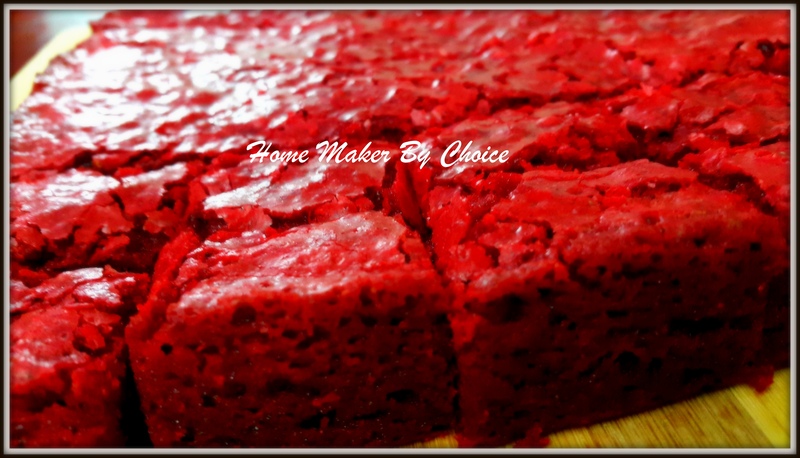 P/S: At the very moment I am writing this post.. there are only 2 slices of brownies left hehehe. Well done girls! Kids are on winter break, weather is superb and the other half is working… totally no fun hehehe. Looking forward to tomorrow tho.. taking a short trip to Musandam since it’s gonna be a 3 day weekend. My other half and his bike buddies gonna ride and I am gonna drive with the kids. Hopefully I can stay awake for this 5 hours drive. Being told that the scenery from Muscat to Musandam is breathtaking.. looking forward to the scenery but not the driving part. Insyaallah it will be fine as my other half said that he will stop every 2 hrs for stretching but knowing him.. we most probably will make more stops.. why? Well.. he loves photography.. so he definitely will stop to take pictures. Biiznillah.. I will share some photos and also write the driving experience to Musandam in future posting. Enough with the blabbering.. lets look at this lovely kuih. Cek Mek Molek .. direct translation will be Beautiful Lady. This is a traditional Kelantanse kuih and is very similar to kuih keria except that this kuih has the sugar on the inside instead of the sugar coating on the outside. This kuih only has 3 ingredients; sweet potato, flour and sugar. Normally if you buy from the stall.. the amount of sugar inside this kuih is almost none.. come on people.. this kuih will never be cek mek molek if there is no sugar inside. I know that sugar is expensive but I don’t mind paying a bit more for a good amount of sugar in this kuih. Well.. my mum always say.. “if you not happy with the quality.. make yourself.”.. hmmm I dont mind making them when I am away from home but if I am in Kelantan.. my MALAS sickness always kick in hehehe. 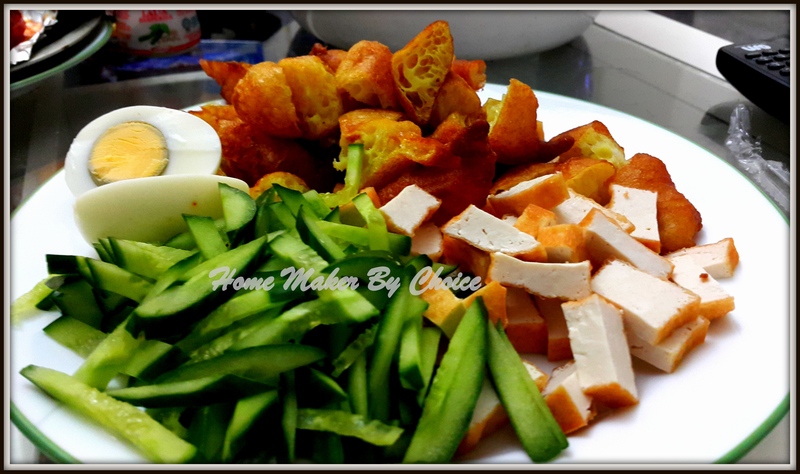 So.. today I’m gonna share with you the recipe for this cek mek molek. Mashed the cool sweet potatoes and add in the flour. Mix until it forms into a pliable dough. Note that the amount of flour stated is a rough estimation.. please add or reduce as required. Take a small portion of the dough about the size of a ping pong ball and flatten it. Put 1/2 tsp of sugar in the middle and fold the dough to cover up the sugar and form it into a long oval shape. I sometimes make it in larger quantity so that I can freeze them. If you want to make a frozen cek mek molek, I would suggest you fry them half cook, let them cool, put in a ziplock bag and place them in the freezer. Living in foreign land makes you think about home food all the time. There is no mum to make them for you nor do you have an option to go out and buy them whenever you feel like eating. Like it or not, you have to learn to make them. You will be lucky to hit all the right taste on the first try… as for me.. normally the third attempt most likely to get the approval from the other half. Most of malay dish do not have a precise measurement.. you just need to adjust them to your taste bud and if you notice.. most of my Malay recipe will state the the amount of sugar or salt is always “to taste”.. and being a kelantanese, I like my food to be sweet. You might faint if you see the amount of sugar I put in my dish hehehe. As for the recipe below.. these are the rough measurement used because as I told you before.. Malay cooking is all about “agak agak”.. so you need to taste and tweak them as per your taste bud. The more you do it, the better your end product will be. Happy tweaking. These are all the ingredients that I manage to gather..
Place boiled potato and sweet potato in the blender. Add water and blend till smooth. Set aside. Add in the blended potatoes and sweet potatoes, palm sugar, sugar, tamarind juice and salt into the sauce pan. Add water if the sauce is too thick. Cooked with slow fire until boiled. Add in grounded peanuts and once the taste is right, the sauce is ready. 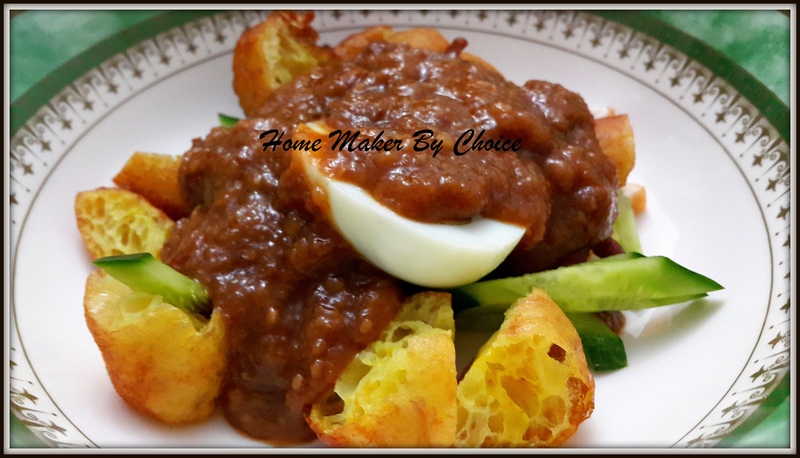 Cucur Udang (Prawn Fritter).. Click here for the recipe. Sardine curry puff aka kapipap sardin is one of my favourite snacks. 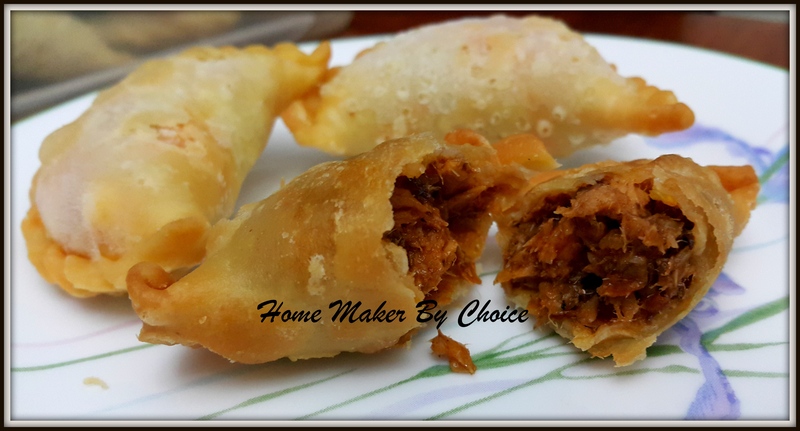 Back when we were in Kuwait, I never felt the need to make karipap sardin myself… why??? Well… simply because there is a friend that always there for me to place an order hehehe. So.. when I first moved to Muscat, I’ll get whoever that wants to come to Muscat from Kuwait to bring a frozen karipap sardin for us… pathetic right? Well.. how long can a frozen karipap last especially when you fry them almost every other day. So.. I decided to try and make them myself. Lucky for me, I did try and learn from Azie how to make her famous karipap sardin when I was there. After couple of attempts, my other half finally said that I have perfected my karipap sardine..yeay… thank you again to Azie for being kind enough to give me her recipe. 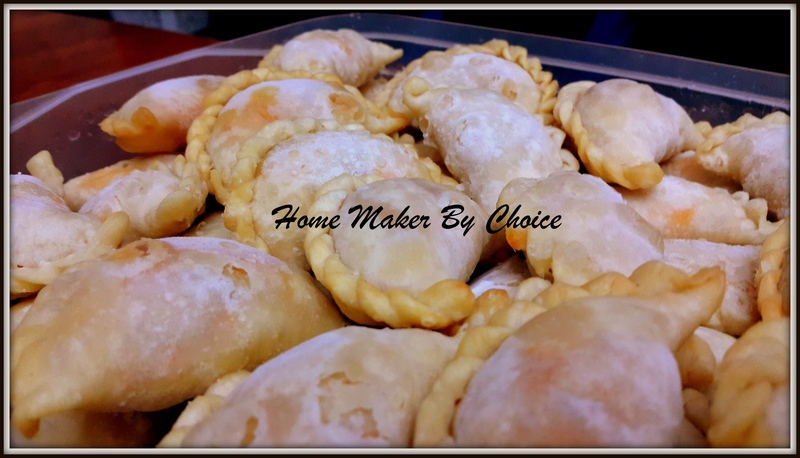 Here is her recipe which I have already reduced to 1/3 (pengsan I kalau buat 1kg macam Azie hehehe..) If you would like to frozen this karipap sardin for future use, just fry them half way and let it cool completely before placing them in the freezer. Place the flour, margerine and salt into the bowl and mix well. Heat up oil in a pan and then pour into the flour mixture. Mix well. Leave it to cool for couple of minutes. Pour water slowly into the mixture until you get a soft dough. The amount of water may varies depending on the flour. leave the dough to rest for 30 minutes. Roll and then cut the dough into circles. Put in a little filling in the center of the dough, fold over to make a half circle and crimp at edges. Deep fry in hot oil until golden. Heat large pan or skillet with oil, add in onion, garlic and chili paste, fry until fragrant. Add in sardine and tuna. Cook for few munites.